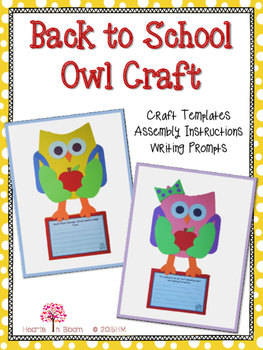 Welcome your students back to school with this adorable owl craft! 1. Step-by-Step assembly instructions with pictures. 3. 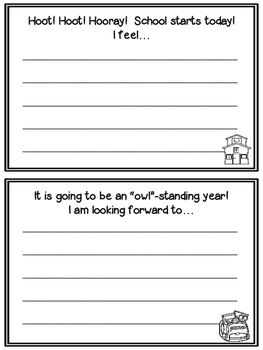 Three different writing prompts for your students to choose from. 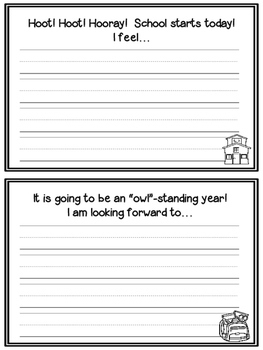 There are three different versions of each writing template. The difference is the size of the handwriting lines to accommodate different grade levels. 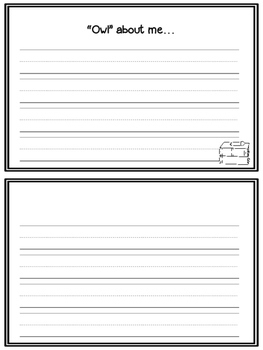 In addition, a blank template is also included if your students would like to choose their own topic. I hope your students enjoy the craft as much as I enjoyed creating it! I would love it if you would follow my store! You are automatically notified when I have posted a freebie or a new product for sale.